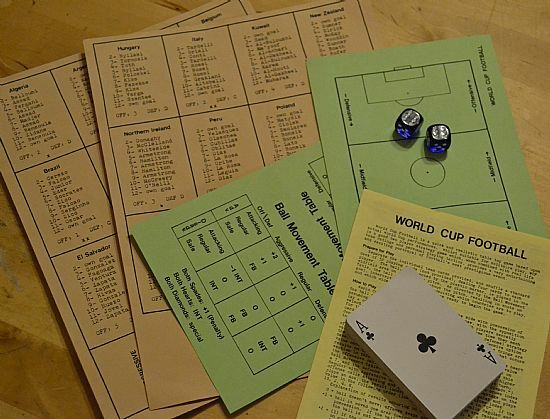 An original game using a very simple pitch plus a combination of playing cards and dice to determine moves and goalscorers. Comprises of a few simple photocopied sheets. 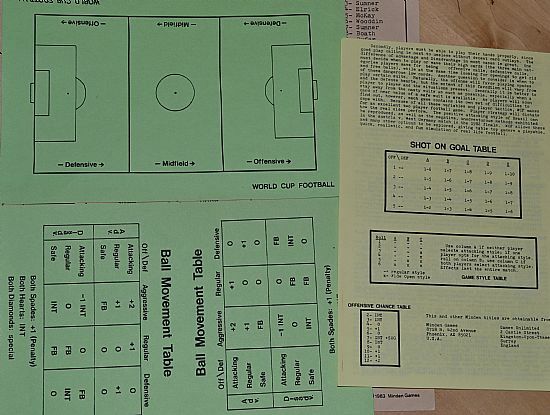 Rules, pitch, line ups and reference grids make up this simple but effective game. Based on the 1982 world cup tournament. I should rise above it but I can't. 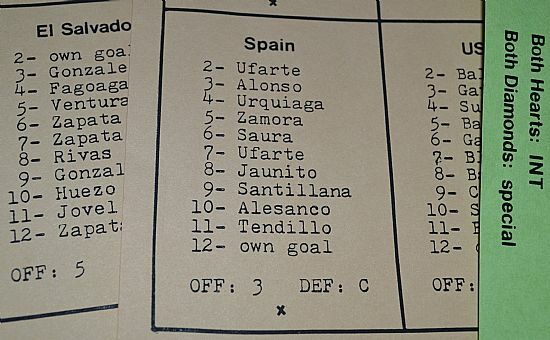 Spain's main threat came from Ufarte. This is a war game company trying their luck at a football game. grids, look up tables, chance with dice and loads of data.